Watch your inbox to get the most out of your new Morning Time plans. We’ll be sending you only our favorite tips, strategies and simple solutions to your big homeschool challenges! Try the plans that fit your family. Music appreciation, beauty in mathematics, picture and nature study, poetry and so much more are waiting for you in our pre-made morning time plans. Never stress about what to include in this precious time of day again, we’ve got you covered! Morning Time is flexible enough to meet every family’s needs, and you might have specific goals for your time together each morning. 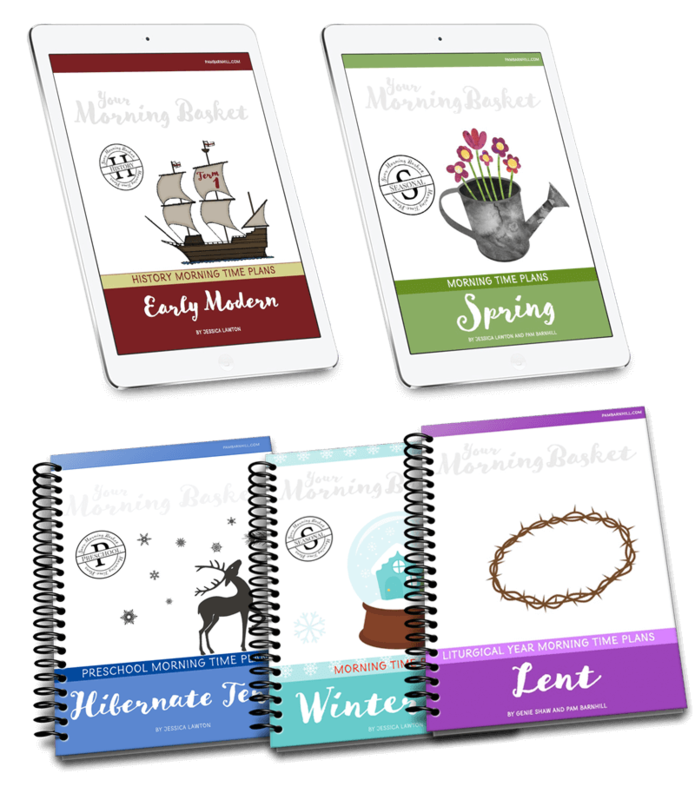 If that’s you, click the button below to browse our specific plans for preschool, history-based, seasonal, liturgical and more. See What's New in Morning Time! I’m actually pretty good at pulling things together, but this is really really great stuff. I love the book choices, the poetry and memorization selections. Learning Shakespeare has been doable. I could go on and on.